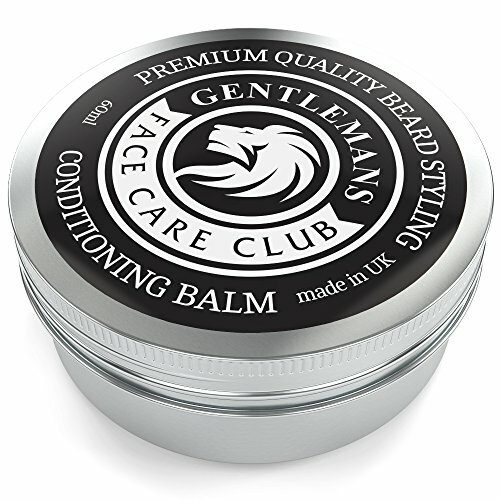 If so Gentlemans Face Care Club beard wax could be the perfect solution for you. Our unique formula is made right here in the UK from a special blend of the purest ingredients so you can be sure of a top quality product. By using a top quality intensive beard softener you can avoid these problems completely. A quick application once a day with a beard comb will instantly produce a shiny, manageable and well cared for beard that any man would be proud of. * It's perfect to use on any length of hair - Designer stubble, moustaches, side burns, a well trimmed goatee beard or bushy mass! * Our BIG VALUE 60ml size is the largest you can buy on Amazon - A little goes a long way! * Ideal for those hard to find gifts on birthdays, fathers day and Christmas or just to show him how much you care! WORRY FREE SHOPPING - Our 100% satisfaction money back guarantee - If there is anything wrong with this beard conditioner in any way, we'll give you a full refund, no questions asked - If you're not totally happy, just let us know about it.